It's time to share some exciting photos with you today! 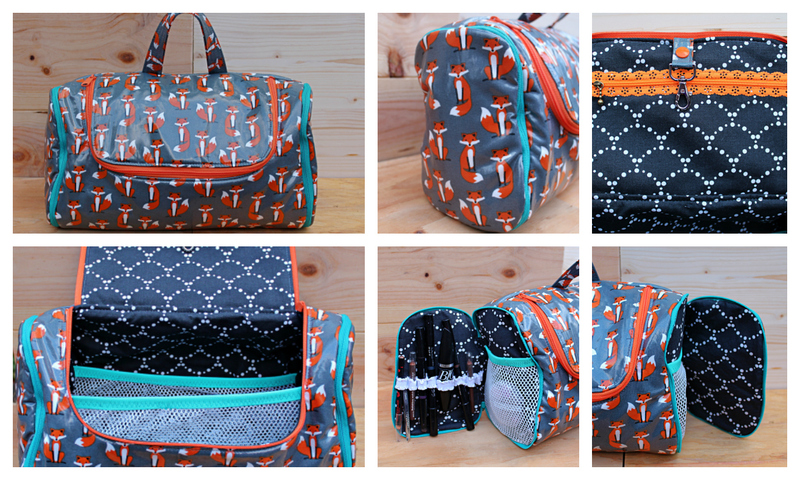 Last week I released my Toiletry Tote pattern so today it's time to start showing you some of the testers' pics! First up is AJ who chose to highlight her zips in a contrast colour, I love it! Next is Amy of Virginia Girl Design , I realyl struggle to choose fabric combinations, but she nails it every time! 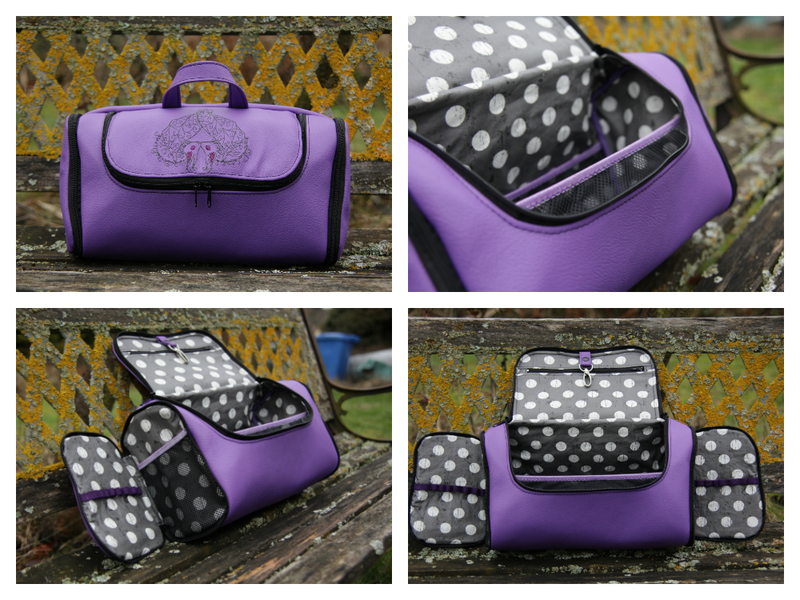 Next up is Anke with a fabulous purple and polka dot version. Thanks for the wide open shot Anke, your bag has a lot of space! 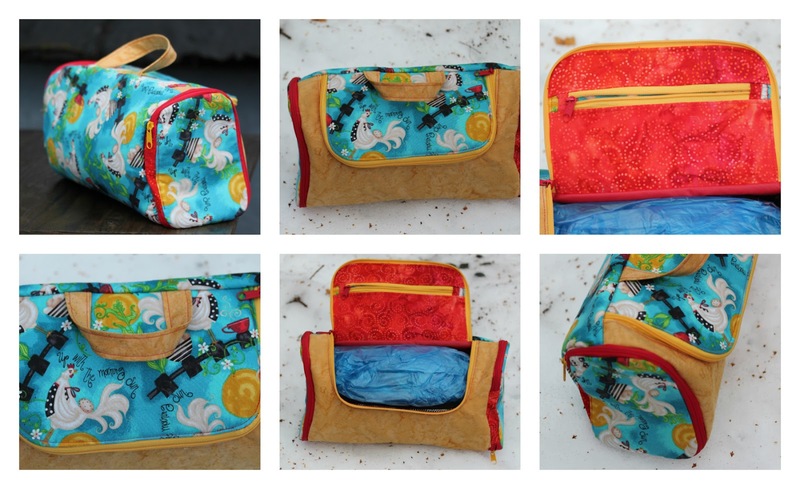 Next up is Casey JC Mila Designs who made this gorgeous fun Toiletry tote. 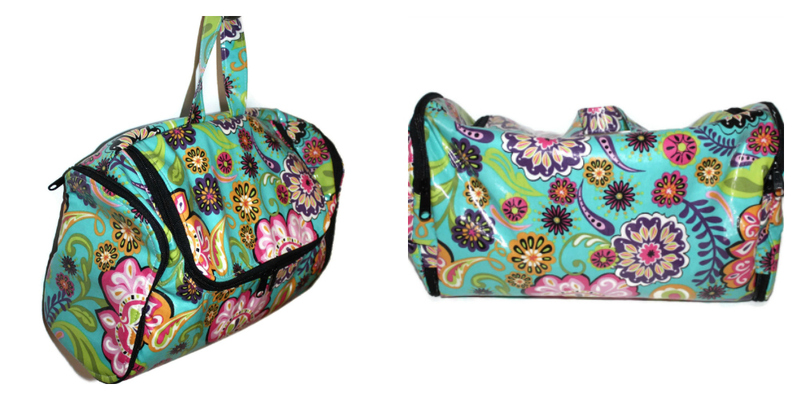 You can see in the 3rd pic how the optional hook strap can snap out of the way for zipping. 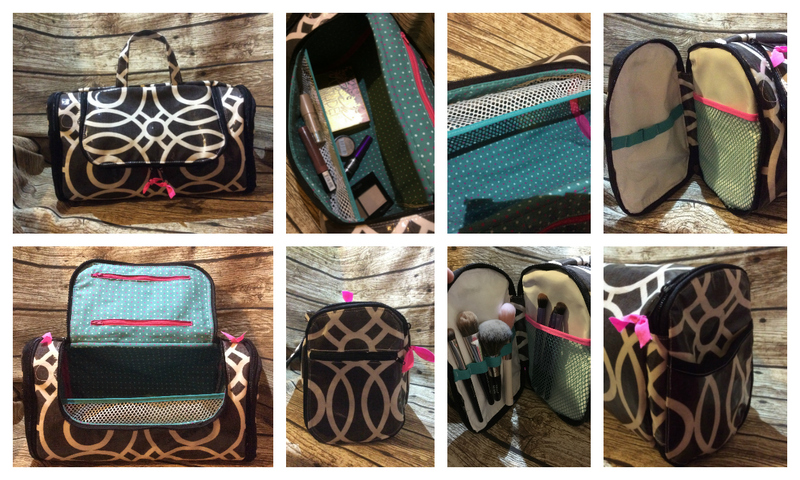 Next up is Christine of Bags by Bags of Style who's gone pocket crazy and added even more pockets! 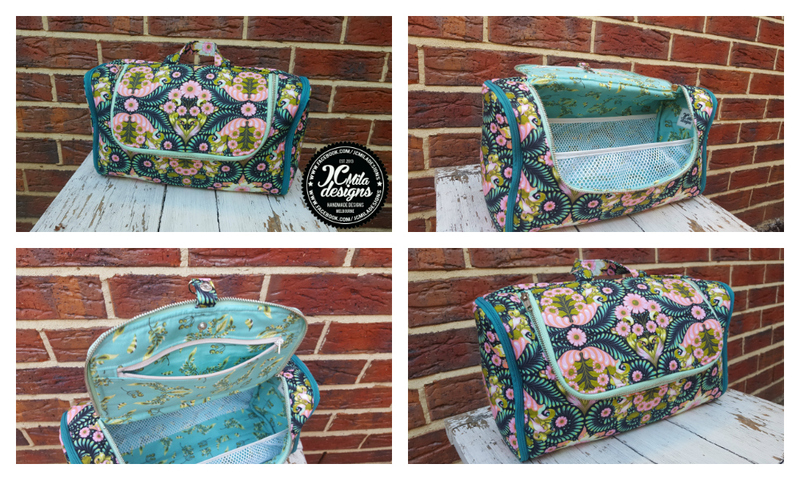 I believe this tote was snapped up within minutes of being finished, and I'm not surprised! Next up is Christine who made her tote in two different cork fabrics. I love the contrast flap and pockets! Hilari made such a bright tote that I asked her to send it to me. Now it graces my samples shelf and features on the cover! I couldn't resist Jana of Bubo Boutique version of the Toiletry Tote either and so she made me another, in the same fabrics! I love those cute little foxes and it was admired at The Bag Retreat! I think that Line must have been missing summer when she made her gorgeous bright version, I think I would be too having snow for that long! Lovely version Line! 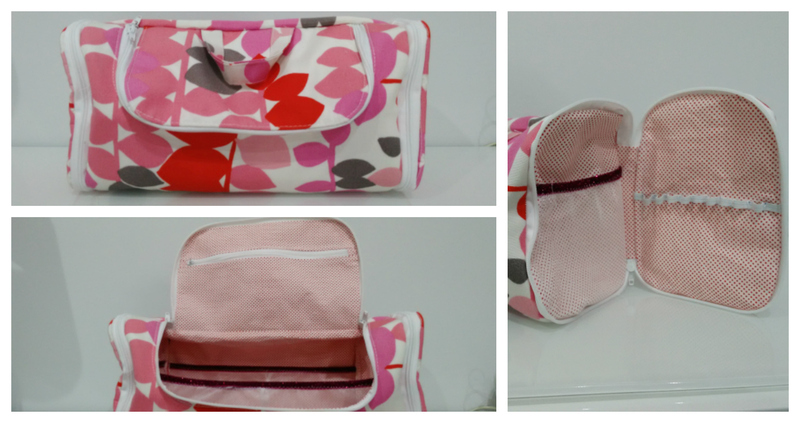 Next up is Maria B with her Toiletry tote in Pink to make us all Wink! Good work! 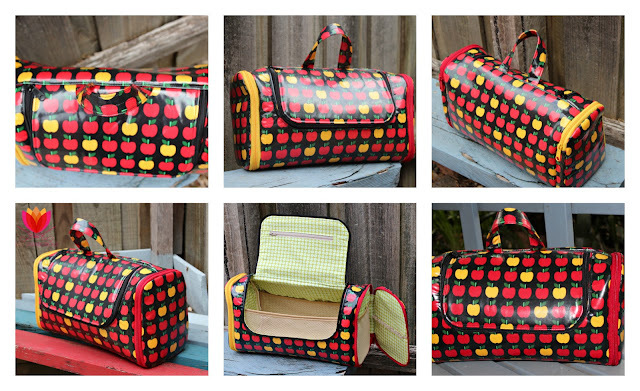 Razana got all fruity with her Toiletry tote with this fun apple oilcloth. I love her different zips! 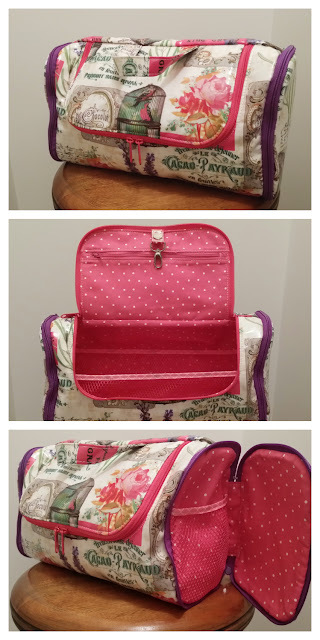 Susan has made a gorgeous girly version with a double zip in pink and two end zips in purple. Her middle pic shows the optional hook strap closed neatly for storage. Thanks Susan! 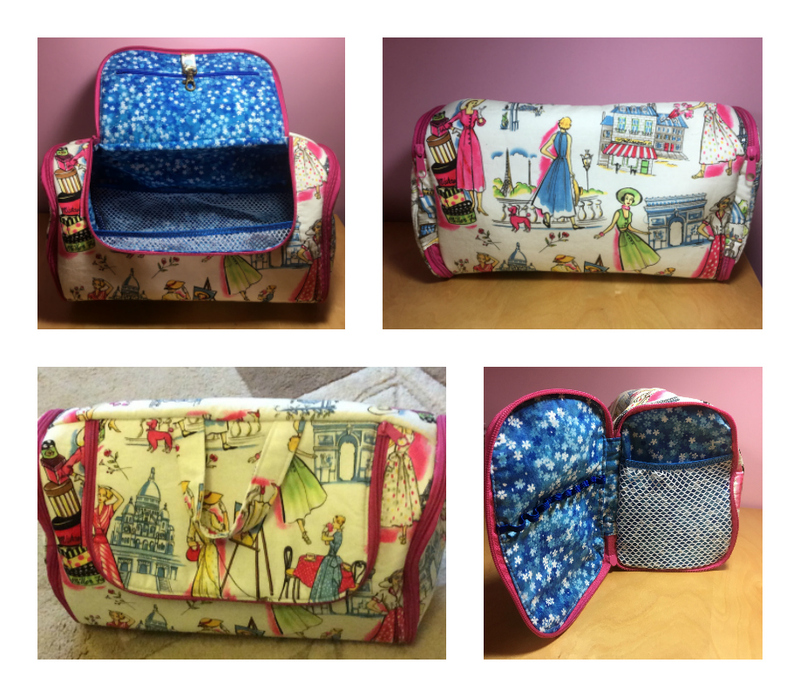 And finally Vanessa has made a fun Toiletry tote which make me just want to travel the continent with it! Thanks Vanessa! I'm so stunned at all of the testers Toiletry Totes, they all look so different. This pattern is definitely a challenge, so these ladies have all shown great skill in making their bags, and offered some fab feedback to improve the pattern. 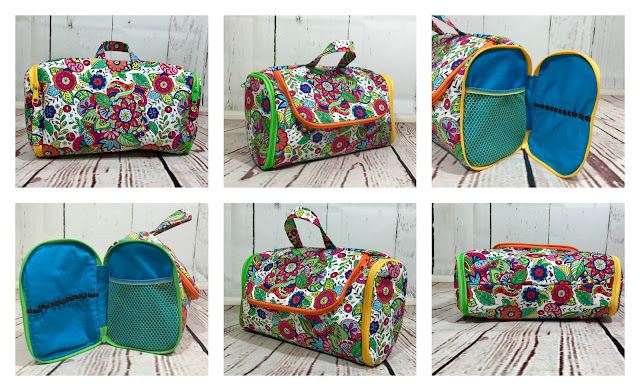 If you want to make your own version of the Toiletry Tote pattern, you can find it in my shop here.